5 Biggest Problems with Pool Filters, and How to Fix Them. For a piece of equipment that is not electrical, digital, or highly complex, a pool filter can still cause a great deal of pool owner stress. You might be surprised how many questions we field regarding what is essentially a big tank that water passes through. But since that tank is so vital to the operation and safety of your pool, I wanted to share the some of the most common issues our techs encounter and how you might troubleshoot some basic problems. 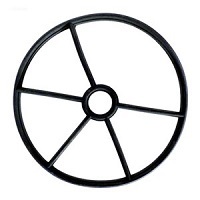 Inside the multi-port valve on DE and sand filters, you will find this gasket which somewhat resembles a spider web, featuring a small center ring and spokes (typically 4 or 5) that connect to a larger outer ring. For a small, simple part, it can be the source of quite a few filter headaches. Signs of a worn or damaged spider gasket include leakage around the valve or water coming out of the waste line even though valve is set to “filter”. Damage to this gasket is commonly caused by moving the valve handle while the pump is running. If you need to replace the spider gasket, look at the valve body itself (not the filter tank) for a model or part number. With a valve model number, the correct gasket can usually be cross-referenced. It is worth noting that some manufacturers include the spider gasket only as part of the diverter. In this case, you would need to purchase the entire diverter assembly. If you are unfortunate enough to find yourself in this camp of filter owners, you will want to compare the price of the diverter vs. a complete new valve. Probably the most ironic of filter problems is sand or DE powder flowing back into the pool. For sand filters, one or more cracked laterals or a broken standpipe is typically the culprit. Replacement laterals can be purchased individually or as part of a standpipe assembly. The standpipe is available separately also, if you determine all of your laterals are in good shape. For DE filters, you are usually looking at worn grids that have developed tears. While checking the grids, also inspect the standpipe o-ring for wear and tear. Another cause of DE in the pool is simply adding too much DE powder when recharging the grids. Be sure to follow the manufacturer’s instructions; in the absence of an owner’s manual, a general rule of thumb is 1 lb of DE per 10 sq ft of filter area (this refers to the square footage of your filter, not your pool). Feeling the pressure of pool ownership? Then you and your filter might have something in common. Some filter problems are caused by excessive pressure build-up inside the tank. High pressure can be caused by having a filter that is undersized for the pump; this means the pump is pushing more gallons per minute than the filter is designed to handle. Another cause is simply a dirty filter with cartridges that need to be rinsed, or sand or DE that needs to be backwashed. If after cleaning, you are still faced with high pressure, there could be a clog in the plumbing lines. High pressure can cause laterals to crack and leak sand into the pool. It can also be the reason for a cracked tank or even more dramatic, the filter lid blowing off. As mentioned above, high filter pressure is a problem but so is low pressure which usually indicates some obstruction of the water going into the filter. This can negatively impact pool circulation. First step – check your pump strainer basket and impeller. If either one is clogged with leaves and other debris, clean them out to increase water flow. Low pressure can also be linked to the pool skimmer which could have a clogged basket or a weir stuck in the open position (the weir is the flap on the skimmer that sways back and forth). Reduced water levels can also cause low pressure. 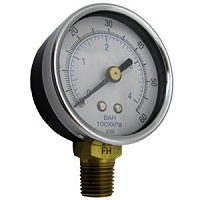 It’s worth noting that a broken pressure gauge can give a false reading, high or low. Check to make sure the gauge needle returns to zero as it should when the pump is off. All your filter might need is new cartridges or grids but good luck trying to figure out which ones you need. This is a very common conundrum. Frequently, the filter manufacturers place a label or plate on the filter tank that lists all the different filter sizes for that particular model. Then they put a check mark or punch out a hole next to the actual filter size. That is, in theory. I hear from many customer that there is no mark or it has worn off over time. There could also be no readable part numbers on the grids and cartridges themselves, leading to a good deal of confusion. The easiest solution in this case is to measure the actual media. So for DE grids, you would measure the length and width of the full and the partial grids. Most DE filters have seven full grids that are the same size and one partial (shorter) grid. For cartridges, measure the length, the outside diameter of the cartridge, and the diameter of the hole. Often people don’t want to take the extra step of opening the filter to get these dimensions and they take a guess at the correct size. This makes for an awful lot of returns during pool season so I highly recommend doing it right the first time. Replacing sand can also present a challenge or two. The main question being “how much sand do I need for my filter?” This will be in your owner’s manual but if yours has gone missing, feel free to contact us here as we have specs on many filter models. The manufacturer can also be a resource for the proper sand amount for older, more obscure filters. You will want to check on the recommended sand type as well which is typically #20 or #30 silica sand but does vary per manufacturer. If you’ve been a pool owner for any length of time, you will not be surprised if you run into other filter problems not covered here. As customers often tell me, “It’s always something!” But rest assured, we’re happy to help you troubleshoot filter problems, find replacement parts, and get you on your way to enjoying that pool. Is there any air coming out of the jets during or after this vibration? Well, you can test your water to determine any chemistry issues. Also, clarifier may fix the cloudiness. As for the pressure gauge, if the water flowing from your returns is at its usual strength, you probably just need to replace the gauge. Have you gotten a sample of your water tested at a pool store? If so, post the results in a reply. The first thing we need to know is what the water chemistry is, to determine the best next step. When your pump is shut off, the system is losing prime causing water to backwash into the pool. We have a cartridge filter, and it seems after everytime we vacuum it and the filter goes on to circulate afterwards, little particles are going g back into the pool even after cleaning the cartridge. Any thoughts? Is it a constant stream of particles or does it stop after a short period? If it is constant, there may be a rip in the cartridge media allowing particles to bypass it. If it stops eventually, there may be residual dirt from the cartridge that is settled in the tank bottom. When you lift out the cartridge the dirt may flush into the discharge, packing a nice dirt cannon for when the pump starts. Try using a dose of clarifier to clump the particles into bigger pieces, allowing the cartridge to catch it. My internal filter is stuck in the cartridge and I can’t get it out to clean and/or replace. Help. What is the make and model of your filter? Have solar panels going up to roof. Replaced all piping this year cause handles were too hard to turn. Now the jets only work for 1-2 minutes and then nothing. Seems like no water is coming out of filter to go up to solar panels or back down to pool. If I have it on solar alone same thing. Works for 1-2 minutes and the jets stop. I hear hissing in backwash valve and then it stops pushing water out jets. Pump is working fine. Help!! Has anyone ever heard of a filter cartridge being a little dirty and causing air bubbles in the pool pump bought 3 filters and runs good for hour or so then very little pressure from returns and filter is little dirty. Pool was tested for leaks and none were found. A filter is not going to cause air bubbles in the pump. The filter is on the pressure side of the plumbing system, things get pushed out, not sucked in when the pump is running. Our filter is a Triton TR 100 filled with glass, the pool is green with algae, decayed leaves and debris. As I started cleaning the pool, the skimmers stopped working suddenly, the water disappeared partly from the motor and the level of water in the filter dropped sharply with the pressure gauge at 0. I did several backwashes and rinses, but can’t get the filter to fill up to the top. No filtration either. In previous years I had bubbles coming into the filter which was never full up to the top of the sight. To remove the air (and the water that spurted out ) I connected plastic tubing to the bleeder and collected the water in a bucket . Has the Air intake worsened ? What do you suggest ? By the time the air is getting to your filter, the damage to the pump prime has already been done. Find the leak, fix the issue. I am an experienced pool owner, have an inground pool since 1987. Have a DE filter. Since opening the pool ( last week in May) this year, have had a problem with cleaning it. I used to b able to just vac it then backwash, rinse repeat couple times then filter. Now I can’t, dirty water immediately come back into the pool almost as soon as I start to vac. So I have resorted to vac on backwash. But when I put it back on filter the new earth comes right back into the pool from the returns. We cleaned the filter. So I don’t know if its the filter or the main section that rules the roost ( rinse, filter, backwash, recirculate etc). I’ve been reading up on it I’m just not sure what to do next. Help please. Do I need everything new. Can we get some trouble shooting advice here? I have a DE filter that keeps getting DE inside the grids. I have replaced the manifold and still have the issue. The manifold keeps coming off of the outlet pipe. Like as if there is backpressure pushing it off the pipe. Could this be related to a bad multiport valve?? I am no sure how the ill-fitting manifold would relate or be caused by a bad multiport valve. The standpipe that the manifolds directs water through and out of your filter should have an o-ring at the top. This o-ring seals the connection to prevent water and DE from straying into the pool. It also gives the manifold something to grip. If this o-ring is warped or missing, this could cause the DE spillage and your manifold to dislodge. I was thinking back pressure because the old manifold I replaced had a tube with a small filter on top of the tube coming out of the top of the manifold. Twice before the small filter was pushed off somehow causing the bags/grids to fill with DE. The new manifold has an integrated filter in the top of the manifold supposedly to stop this from happening. Now the whole manifold pushes off the pipe somehow. I checked the O ring and it appears to be fine. I just can’t figure out how water is going into the manifold from the outlet pipe. Unless I don’t understand how in and out for the filter works. Can you get me the make and model of your unit so I can pull up a part breakdown? I need to be able to visualize your filter’s plumbing. Sorry in advance as I am not pool savy and dont know all the correct terms. i have an inground pool which is currently seaweed green. We have tried to shock it but thats not working because we it appears we may have a filter issue but can not figure it out. I have been to 3 pool stores already, with photos and description, and got all different suggestions, and tried them all, but none have work. 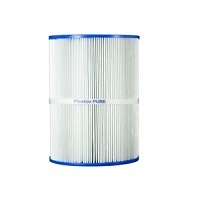 We have a hyromax DE cartridge filter. When turning the pool on it goes to 20 and the jets burst out water and run properly. After about 15 min, the pressure in the filter rises to about 25 and the jet stream slows down, about 10 min after that the stream is basically null. I do not see any water leaking from anywhere. I replaced a few O rings, just to be safe. Bought a new cartridge, The water in the pump is not bubbly, however I replaced the rubber piece as well. I am really at a loss. Unable to get a service call till Mid-July – any ideas would be helpful. Have you backwashed and rinsed your filter? Or have you done a thorough cleaning of your grids? If the filter has not been cleaned, the pile up of dirt will cause the tank pressure to rise and the water pressure to nosedive. Help, we have already gone thru with 4 drain caps. They keep cracking . My husband does not put them on tight. Yes they have a gasket in them. Why is this happing? Someone said if the filter isn’t level it would build pressure? The filter looks level. Please advise. How are they breaking? Or are they getting lost? Some filters have bad or frail drain cap designs causing them to fail repeatedly. when we vacuum the pool the stuff on the bottom goes right through the filter and back into the pool. what could be wrong? It would help if we knew what type of filter it was. Is it a sand, DE or cartridge filter? But recirculating debris could be a hole in the filter media. Can you post water chemistry results? Knowing the chemical makeup of the water will help determine what could be causing the cloudiness. But if the cloudiness is caused by dead algae, then I would suggest floc and vac, cleaning the filter until the cloudiness clears. I couldn’t tell you what the debris is because I can’t see it. But it may just be dirt that is settling to the lowest spot in the pool, Or there is a dead flow zone in your pool, it can be fixed by adjusting return jet positions. Help! I have 2 pools companies stumped. New cartridge is in filter, I have balanced clear water. My psi climbs above 20 every two hours, as soon as I rinse the cartridge it comes back down for a while. What else could cause this? I’ve been in the house 3 summers and it just started in July after I drained part of my water with my Manuel vacuum to clean some algae. Did I need something up? Any and all ideas welcome! Are you sure you bought the correct cartridge? There are a lot of cartridges out there that are similar in size but the square footage of the cartridge is vastly different. For example, if you have a 150 sq ft cartridge filter but mistakenly pick a 75 sq ft cartridge of the same size, it will seemingly work but you will be experiencing pressure issues as you are currently. Hello. Been having a problem keeping my pool clean. Sand filter media was replaced with glass 2 years ago. About a month ago the pool became hard to clean up, dirty water coming thru returns when vacuuming. Shocked numerous times. Pool store said chemistry is dead on, as are my checks. Water would start to clear a tiny bit, then I’d vacuum and it would be cloudy again. The multiport valve wasn’t feeling right, so I replaced the whole thing instead of just the gasket. It’s made no difference. I really don’t think the filter is filtering anything. The only way to clean it up has been to vac to waste a couple times. Any thoughts? Our Pool water remain cloudy – as per the FM of our community its one of the filter is defective and it will be replaced as soon as it is received by the vendor. Could there be another cause to this issue? Further to my earlier text, Is it safe to use the Swimming Pool? Do you know what is causing your pool water to be cloudy? Is it dead algae? Or DE from the broken filter? You probably want to test your water to check chemical levels, and when you have a working filter, use a Flocculent to clear the cloudiness. I understood that it was filter that needs replacement. They changed it and it is in a good state. DE Filter not clearing pool. Cleaned grids with hose and added DE. But the filter does not clear up the water. No DE is leaking into the pool. It runs but never pulls algae from pool. Are you shocking and using an algaecide to kill the algae? The only way to clean a green pool is to add chlorine to kill off the algae bloom. The pool filter can then remove the dead algae; dead algae looks white and makes your pool look cloudy. Read this article: How to Clean a Green Pool? How low is the water temperature dipping? So the pool is inside, is the filter inside or outside? What is the made and model of your filter? Most pumps and filters are made out of fiberglass or a noryl plastic. Both of which are made to withstand hot and cold temperatures. But if you leave a water-filled filter outside or in an unheated room whose temp drops to freezing point; it doesn’t matter which material it is made of, it is going to crack. I replaced my sand before last season and it does not seem to be clearing my cloudy water. I added shock and the pool changed to a rust color. Do you recommend washing the sand with a running water? I have done this in the past by removing the multiport valve and inserting a hose with water running, pushing and puling the hose in and out of the sand. I let the water overflow carrying out and debris, drain filter and then scoop top layer of debris if there. I would rather not change sand again if I can help it. My experience is the sand lasting 2-5 years. This is a copper ionization pool system. If your water is rust colored, that is a sign of excess iron in the water. you can use a few different techniques to remove that problem. As for the cleaning of sand, that is what the backwash and rinse functions on your multiport valve is used for. The backwash reverses the flow of water, churning up the sand, then expels the dirt through the waste line. Is your filter an S240S or an S240T? Did you replace any gaskets? If you are hearing a hiss and water is spitting out, then that sounds like a bad gasket moreso than a hardware piece. I just bought a house with a pool and I noticed today that sand is forming drifts in the bottom of my pool. I have a cartridge filter I believe. What is the problem? If you have a cartridge filter and you’re seeing excessive sand in the bottom of your pool, there may be a rip in the cartridge allowing it through, or you just need to vacuum it up. If after you vacuum the sand, and you see it coming through the return again, then there definitely is a tear in the cartridge. Most of the times trying to mend a filter doesn’t work, but you can give it a try. The most common product I’ve heard used in these situations is JB Weld. We actually cover this topic in a Poolside Chat Episode #20: Should I Fix My Cracked Filter Lid? We have a filter that is only 3 years old. My husband cleans it religiously and maintains everything per the manuals. We recently had all the piping replaced and converted the pool to saline. All the chemicals are in balance according to the pool store. There is some sand at the bottom of the pool and the pool is cloudy. We put chlorine granules in the skimmer and they blew out the jets. Do you recommend replacing the filter or is there another way we can trouble shoot the problem before replacing it? Sand int he pool could be a of things: you need to change the sand or there is a broken lateral. If your filter’s running PSI is high, and stays high even after backwashing then you likely need to change the sand. Old dirty sand can lead to channeling which allows dirt to bypass the sand and recirculate back to the pool. Broken laterals can happen with age. Luckily the fix is the same for both problems, remove the sand. Replace the old sand with new sand. or, remove the old sand, check the laterals, then reuse old or replace with new sand. It’s a filter system, not a sand one. We pulled apart the housing, took the filter out and then put it back in. It must have been slightly loose or something because as soon as we did that the filter started working properly and the pool cleared up the same day. 🙂 YAY! Try setting the valve to recirculate to bypass the filter. if the pressure gauge doesn’t read any pressure, then it is time to replace it. If the gauge does give a reading, then you likely have a clogged filter; the clog probably being alive/dead algae. If algae is present in the pool then you need to shock your pool, once or twice. My problem of my sand filter tank lid was frequently blowout and the sand back to the pool can you advise me what is the reason why it happened. This sounds like a pressure issue; caused by dirty sand, too much sand, or too strong of a pump. For dirty sand, backwash the filter thoroughly. if the sand is old, and backwashing doesn’t help you will need to replace the sand. If you have recently replaced the sand and you put too much sand in, then you need to scoop some out. The normal sand level should be about halfway to two-thirds up the tank. if this problem started after installing a new pump, you may be overpowering your filter. If it is a dual or variable speed pump, try the lower speeds. if it is a single speed, then you will need to change the motor and impeller to a lower horsepower. Hi my sand filter only runs for 5 minutes the flow becomes weak and the kreepy stops,but itworks perfecty on cycle.what could it be? This search page gives you a few guides and articles on how to correct low water pressure. Brand new tagellus (same as old one that cracked in process of changing sand) brand new sand. Vacuuming green silty algae from pool floor. Blows right back into pool. This is after I have backwashed thoroughly and rinsed thoroughly. Pressure at 10. Only explanation I can come up with is channeling but I just 4 days ago put 300 lbs of sand in and filled tank rest of way with water so the sand settled in nice and dense. Again brand new filter too. Laterals fine. Help! The filter is not going to get rid of the algae. You need to complete a cycle (or two… or more) of shocking, filtering, and backwashing to get rid of the algae. When the water gets hazy or cloudy white from dead algae, I suggest using a flocculant or clarifier to help the filter catch the silt. 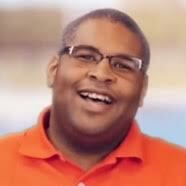 Hi Matthew my pool filter runs dry if I attach the pool cleaner (Creepy Crawley) and then it blows back air to the skimmer box when I turn it off. All is fine until I connect the cleaner ??? The cleaner hose has a sucking air leak. Check the hose for pinhole sized air leaks. An easy way to do that is to take each section of hose, seal the end, and submerge it in the pool. Look for any bubbles coming from hose section (not the ends) for the source of the leak. When was the last time you cleaned, backwashed or replaced the filter media? Nobody is stopping you starting personalized business. I installed sand filter pool filtering time Why am I getting sand in my pool from the filter? Can you please explain me. This “Sand In Your Pool?” article covers the common causes. Put sand filter on backwash runs about ten sec. and stops takes about two min. Does it again.do I need new sand.